Marrying the Dairy Man has inexplicably changed my vernacular, my vocabulary, and the stories I relay without a second thought. I am often shocked at the things that come out of my mouth. Seconds after nonchalantly finishing a sentence with, “…and that’s how the cow broke out of the barn,” I realize, with startling clarity, that I am slowly becoming desensitized to the things city slickers find abnormal. I hope to cling to my urban roots for as long as I can. I don’t want to lose my knowledge of the Chicago subway system or how to be an aggressive city driver, but as I spend more time out here, it’s inevitable that I will slowly morph more deeply into my role as a farmer’s wife. This brings me to something I never EVER thought I would be discussing: cow poop. Or, for those with more delicate sensibilities, manure. These are the facts: We have cows. Cows eat food. As with all animals, food has to be digested and then *ahem* disposed of. Our hundreds of bovine ladies spend a good majority of their day engaged in this disposal process. When the girls are in the milking parlor doing their thing, our employees drive a skidster (small loader) through the barn and push the latest offerings out into a manure pit. 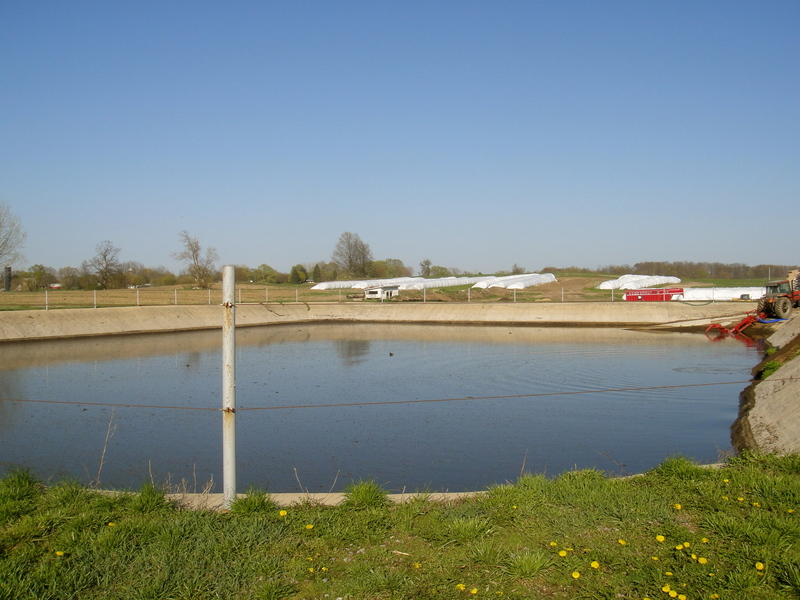 Our dairy has several small pits. Please do not confuse them for ponds or reflecting pools. Not even the ducks would make that mistake. The Dairy Man’s father’s dairy (also known as the home dairy) has a massively ginormous pit. 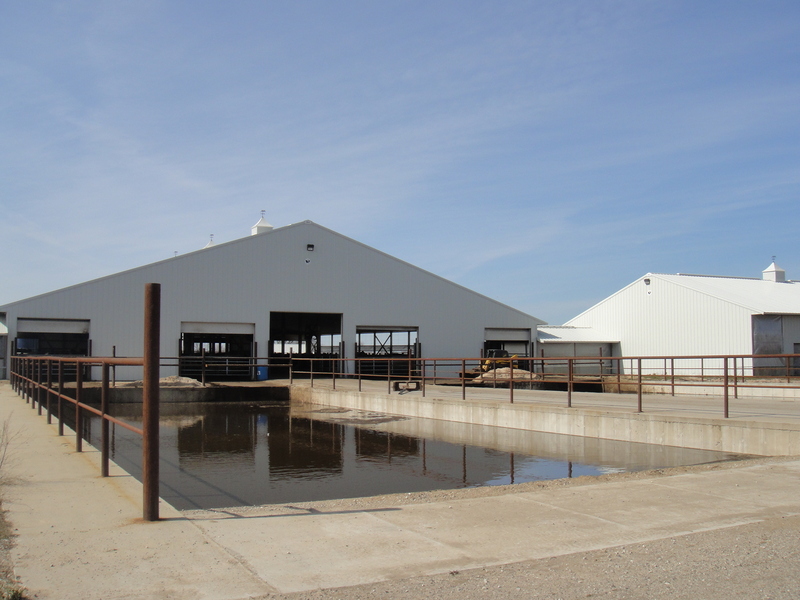 This baby is the size of a soccer stadium and can hold FOUR MILLION gallons of manure. 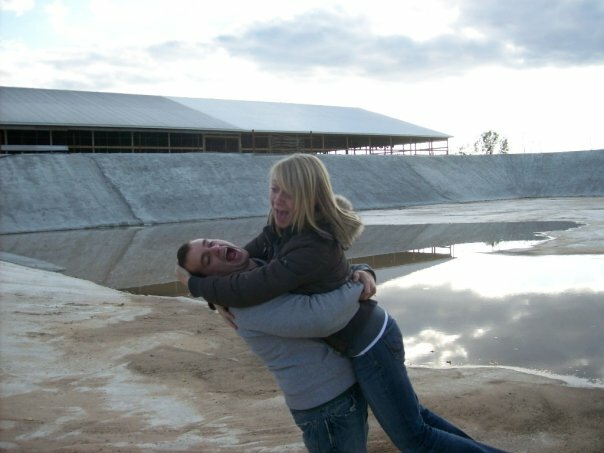 Back in 2008, it was a thrilling addition to the farm. Each winter, the cavernous pit fills to the brim. In the spring, we (as always, “we” is a loose pronoun) spend a couple of frenzied weeks emptying it out. 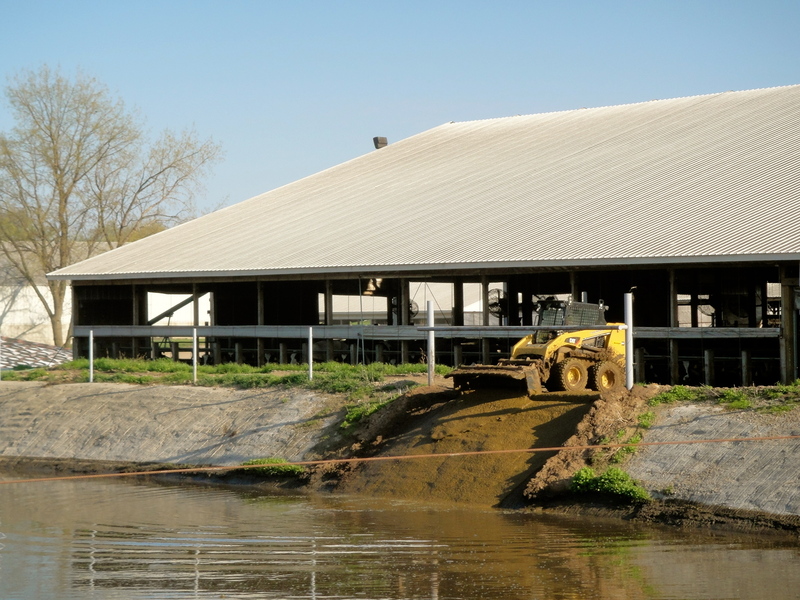 Typically our manure hauling just involves a pit, a pump, and a tractor. But during the weeks I’ve dubbed “Manure Mania,” we actually bring in trucks to expedite the hauling process. 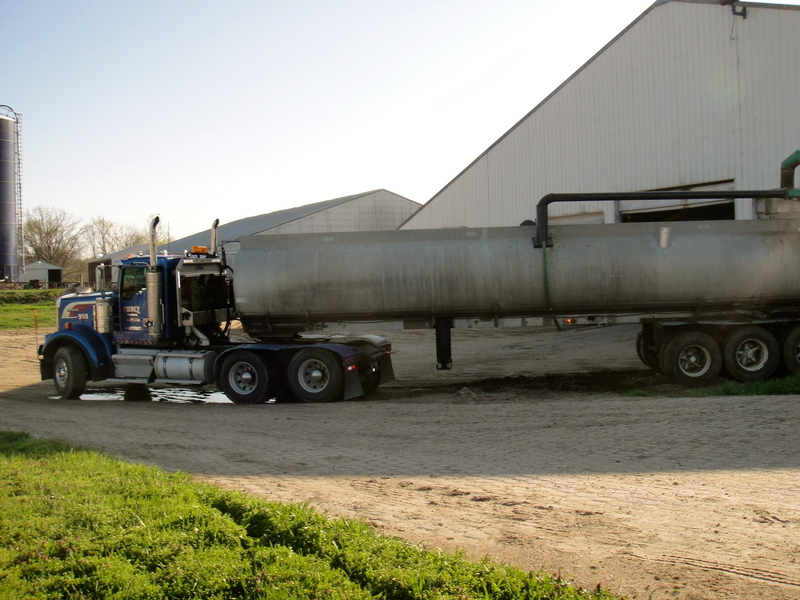 This allows us to haul a greater quantity of the smelly stuff in a shorter period of time (because, after all, five trucks can drive much faster than one tractor). The Dairy Man hauls manure throughout the year, but there are only a couple of weeks in which we actually try to empty out the pits. During the mania of manure, there are four steps. 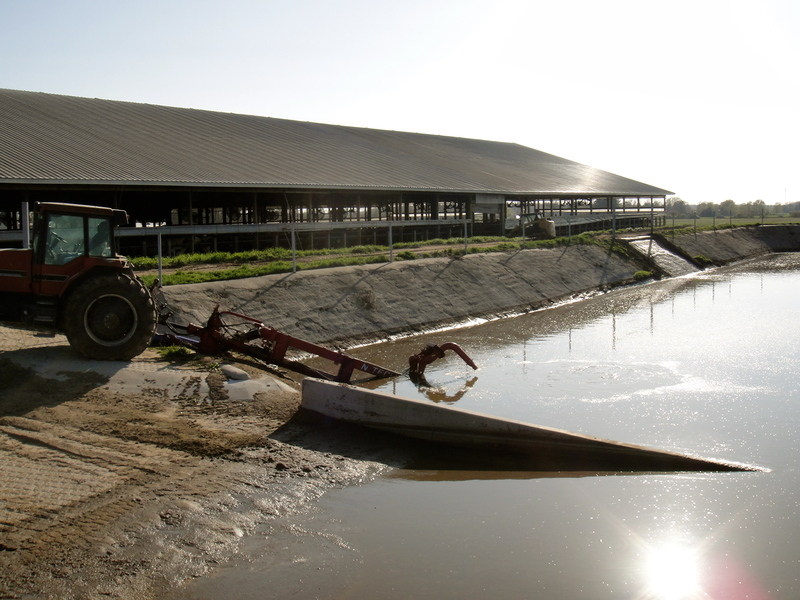 1: Pump the manure from the pits using a tractor. 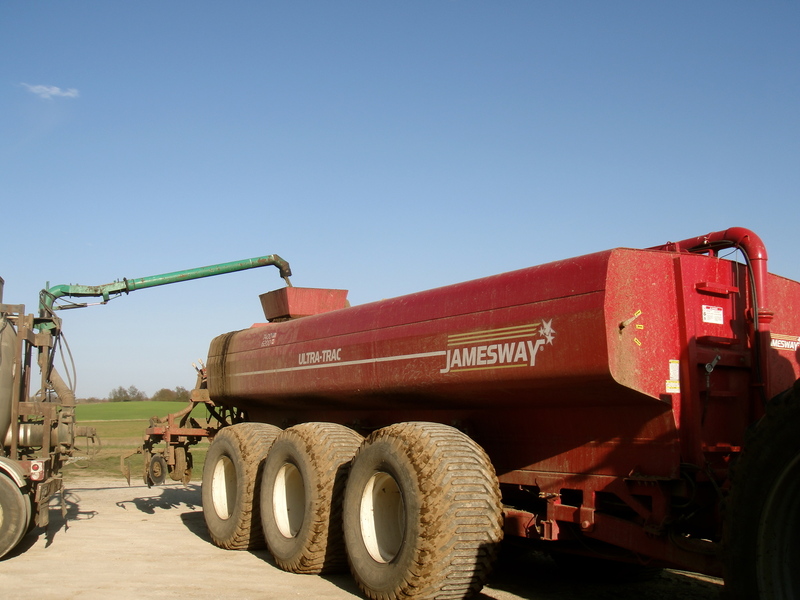 2: Fill a truck and drive it to one of our fields (we’ve only got 1100 acres to choose from – oy vey). 3: Pump stinky liquid from truck to manure spreader. 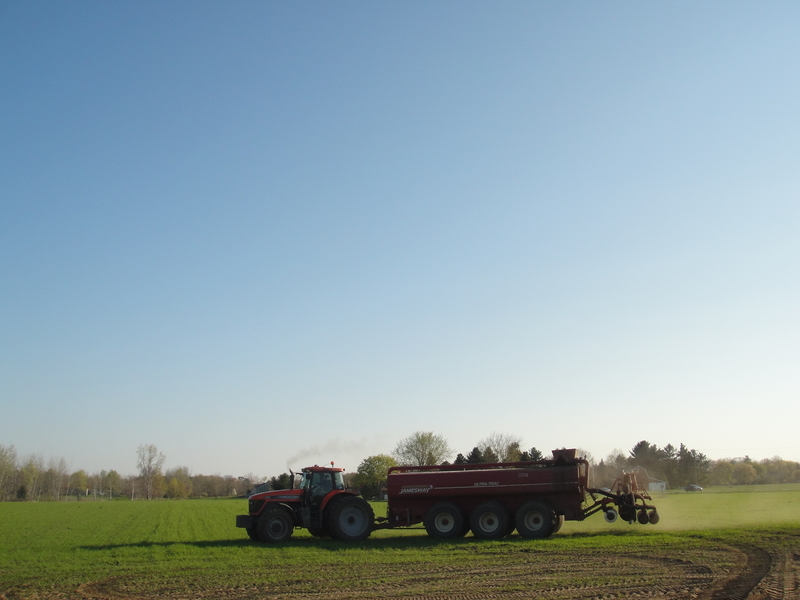 4: Drive the tractor through the field spreading a delightful fairy dust of … poo. Rather than simply throw manure on the fields, we inject. Oh yes. 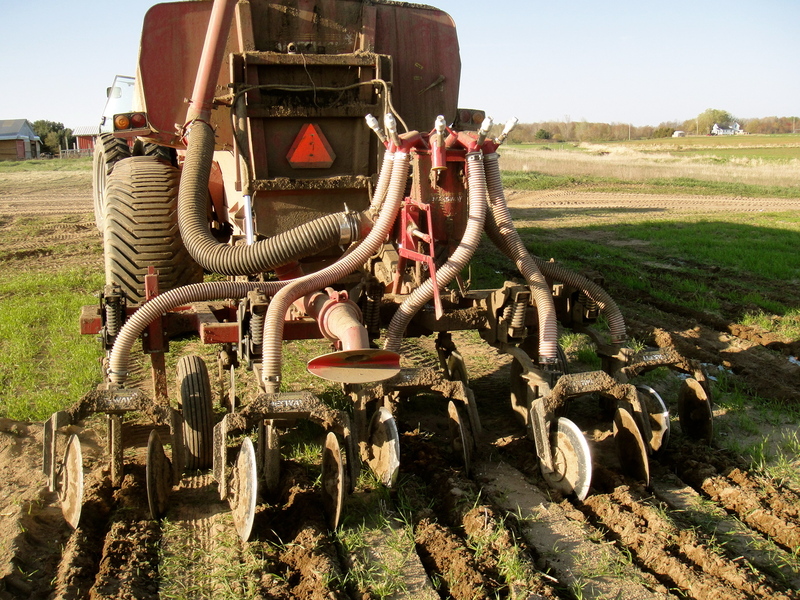 A futuristic little contraption on the back of the manure spreader injects the organic fertilizer directly into the soil. This process not only cuts down on the odor, but it injects nutrients directly into the soil, creating an optimum environment for our future corn babies. Waste not, want not. The cows are making it and our crops will love it. Now I just have to resist the urge to whip out this information at dinner parties. Jess, you are a hoot!! I can identify with you in so many ways, only I was close to 40 when I moved here. I love how you are teaching people about your dairy!! Keep up the good work. Thanks, Ann! Sometimes I can’t believe I’m writing about this stuff! Exactly what the dairy man says! I wandered across your blog and I can’t tell you how much I love it! I’m from the city and about to marry a Dairyman. We are just starting up our farm and I find myself discussing engine tractors, breeding programs, and gutter cleaners as parts of normal conversations. My friends from “before” think I’ve jumped off the deep end, but I love it. Glad to know there is someone out there who has also made such a dramatic lifestyle shift. Thanks, Sarah! Isn’t it funny how all this farm stuff works its way into your conversations without you even realizing it? 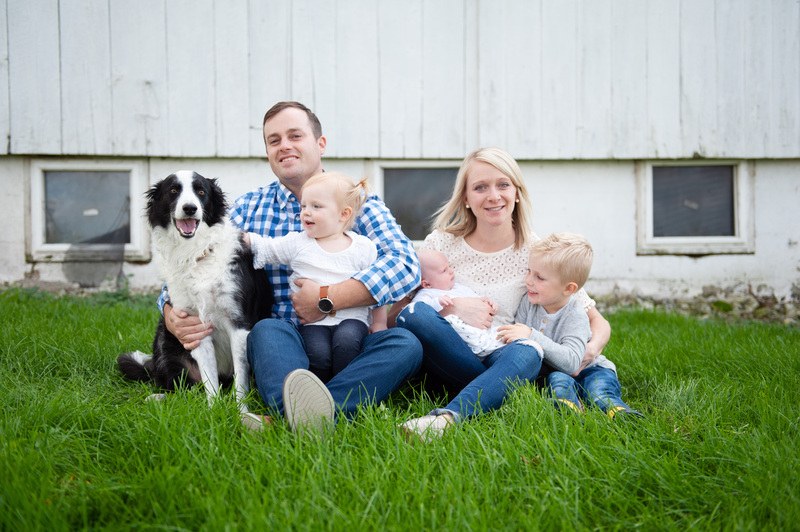 Good luck as you and your husband start a new dairy! What an undertaking. I can’t wait to read about it. Let me add my name to the list of city-slickers turned farm wife. I spent my 6 month anniversary helping deliver calves… and wouldn’t change it for the world! It’s nice to know there are others on the learning curve along with me! Jess, really enjoyed this post. I’ll be referring to it in my next email distribution. Trust me, it really won’t matter on the long term if you know the Chicago subway system. If you need it, you’ll look up the lastest info and wing it and you’ll be OK. And as far as aggressive city driving, it’ll all come back to you when you find yourself in the city because you needed an urban fix–it’s kind of like riding a bike. Just enjoy where you are though and enjoy where you are for what it is–the wonderful life you chose, manure and all. Thanks so much, Dawn! I agree – I think all that city stuff will come back to me when I need it. For now, I’m loving the gorgeous green fields and our country home!